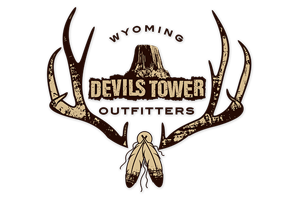 Featured Buffalo Hunting outfitters, guides and lodges. Southern Kansas Buffalo Hunting on one of our two private ranches, in beautiful Barber County. Buster’s Outfitters provides Kansas Buffalo Hunts for muzzleloader, rifle and archery seasons, as well as full accommodations during your stay that including lodging, meals and guide service. Buster’s has exclusive hunting rights on some of the very best private land in Kansas for our free ranging Buffalo Hunts. Hunter and guide will either hike in or ride in on horseback depending on your choice. Buster’s Outfitters has some of the best Guides and spotters in Kansas which is why we pride ourselves in the ability to provide a great opportunity for a free ranging Buffalo Hunt with a guaranteed successful hunt. All Red Deer, Fallow Deer, Elk, and Buffalo Hunts include use of the Maine country cabin for 1 to 2 nights depending on the type of hunt ‎that is being accomplished. For an additional charge Hunters can opt to stay in the newly renovated lodge that can accommodate up to 8 people. Meals are included in this option and Jeremy's culinary experience includes working in the restaurant industry. Jeremy has an extensive knowledge of game meat and will surely give you and your party some fantastic recipe ideas! Hunting the massive American bison on 11,000 acres of beautiful country consisting of prairie plateaus and steep canyons of the majestic little white river valley, is a picturesque location for the hunt to take place. This area is very unique, the abundance of natural springs give life to the ponderosa pine and oaks which cover this are. Year round hunts available. Hunt with Rifle, Muzzleloader, Bow. 5-7 Year Old Trophy Bull hunts and 2 1/2-3 Year Old Bull options available. We offer private herd bison hunts that can be a stand alone hunt or added to any existing hunt. These are privately owned bison herds so there is no special license to purchase. What a great conversation piece to add to any trophy room.